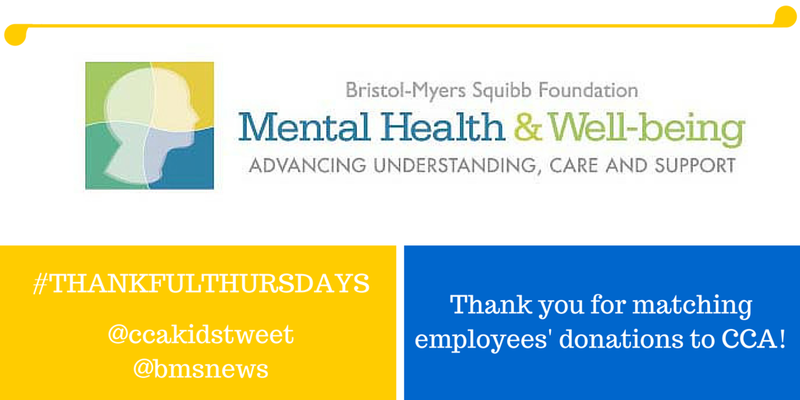 This #ThankfulThursday, CCA is grateful to Bristol-Myers Squibb for matching employees' donations to CCA. Their generosity doubles the impact of one donation and helps us serve more families affected by facial differences and spread kindness in schools and social spaces! Check and see if your employer matches donations here. If they don't, you can ask them to!